loopincom | The greatest WordPress.com site in all the land! 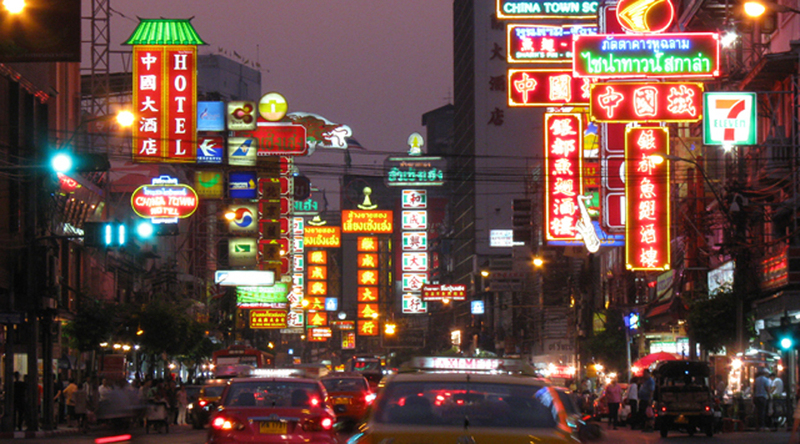 Don’t know where to shop in Bangkok? Check these following areas that you shouldn’t miss! – It is the great place for the bargain hunting. – Loads of merchants and stalls that you can brush up your bargaining skills. – Easy! just hop on BTS skytrain to Mo Chit station or Chatuchak Park for MRT. – Open from 9.00 – 18.00 on weekend and 18.00-24.00 on Friday. Yet Chatuchak market is not the only must-visit place in that area. There is a popular night market which located next to it which is Rod Fi Market. It is a bazaar set beside an abandoned railroad track. If you are looking for some classic or vintage stuff as well as second hand goods, this place is an ideal. It was divided into 2 parts: outer and inner zone. You can find food, clothes both new and second hand, antique furniture in the first area. It looks like a parking lot where venders display their staff on the floor. At the same time, the second zone or the inner zone is decorated from the abandoned warehouse that, inside, you will find vintage style furniture and other home decorations. Plus a vintage clothes and dolls. – Next to JJ market, which is easy to commute and park you car. – Open 17.00 till midnight only on Weekend. – Those vintage stuff are hard to find, let’s grab it! Here is the major wholesale market for clothes, fashion accessories and shoes but also doing retail trade. The wholesale market is located at the intersection next to Amari Watergate Hotel. 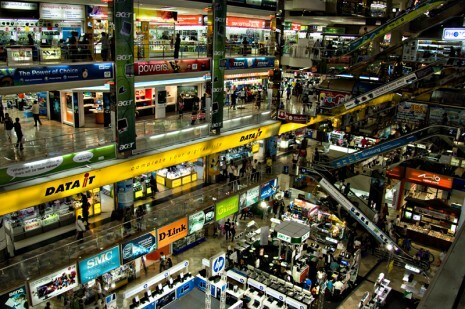 It is full of shops and stalls along the sidewalks and extends to the Baiyoke Tower I and Baiyoke Towers II. It trades all kinds of clothes from shorts, T-shirt, plants, suits, fancy dress, fancy accessories, cosmetics, etc. Open daily morning till evening. After shopping at Pratunam Market, on the opposite side, you will find a big fashion mall located next to Novotel Bangkok Platinum named The Platinum Fashion Mall. It was known as a large shopping mall for clothes, which offers both wholesale and retail prices. Merchants vary from kid’s clothes, woman and men’s clothes till fashion and fancy accessories. 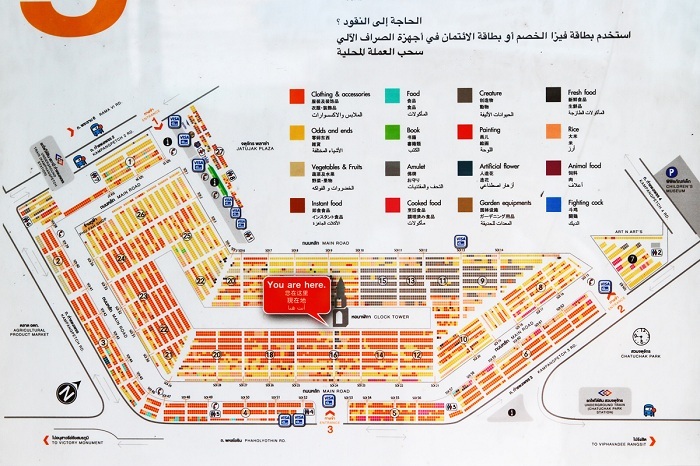 Also, this mall is easy to navigate since types of goods are categorized in groups e.g. Kid’s clothes and accessories are on the fifth floor, woman clothes are on the first and second floor. Yet on the sixth floor of the mall is the food hall where shoppers can enjoy international food at low prices. Open to shop daily from 9.00 to 20.00. Pantip Plaza is located next to The Platinum Fashion Mall. It is popular for indoor selling electronic products including software, computers, mobile phones, tablets and their accessories with affordable price! It was an ideal destination for those tourists who are looking for a massive inexpensive electronic store. What’s more? The wide space in the middle of the mall is the area where brands always exhibit the events and special promotions for Pantip customers. It’s open every day from 10.00 to 20.00 at Pratunam, Bangkapi, Ngamwongwan, and Chiangmai. 6th – 7th floor: international food, food hall and entertainment section; 15-screen world cinema. Easy to get there! Get nearest BTS to Chidlom or Siam station, and then CTW will be at the middle of skywalk pathway! This place is definitely fantastic! It is located by the river front in Charoen Krung Area. The place is adapted from the old warehouses so those shops are decorated with antique styles and divided into over 10 warehouses where these warehouses display with different styles. 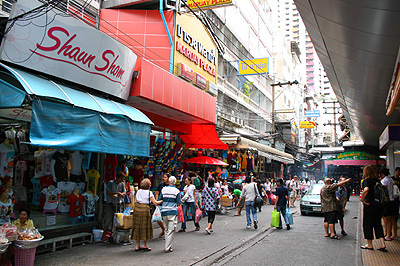 Shops and stalls vary from clothes to Thai’s souvenir. Don’t miss the highlight: Bangkok Eye! It is a big wheel that allows riders to see panorama views of Bangkok, only 200 baht for adult and 150 for kid. Open daily from 17.00 – 23.00. 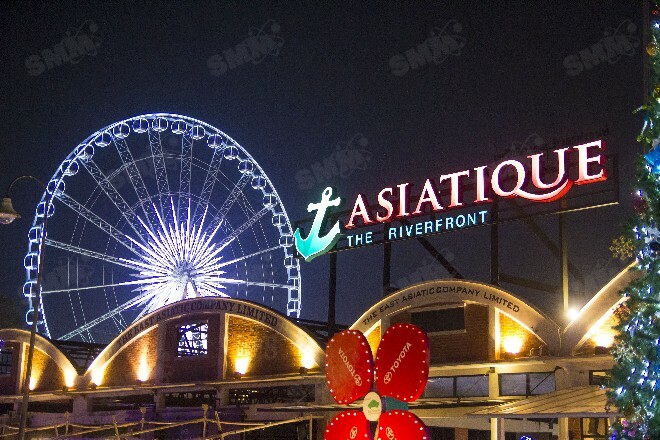 Free round boat from Saphan Taksin BTS right to Asiatique. Plus, car parking areas that is available for 2,000 cars. Bangkok fans must know Siam. This is a heart of Bangkok consisting of numbers of malls and department store like Siam Center, Digital Gateway, Siam Paragon, Siam, MBK, Bonanza Mall and Tokyo. By BTS Siam Station, you will see Siam Paragon and Siam on another side. 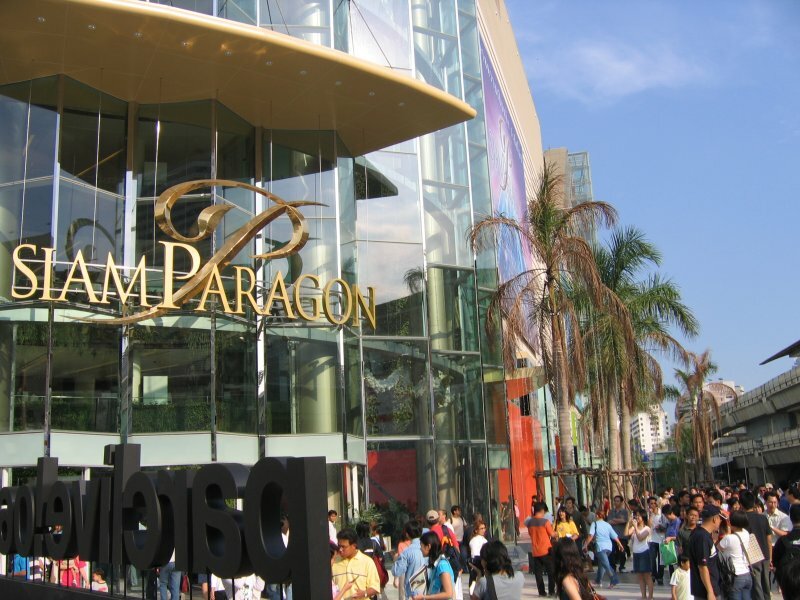 For Paragon, it is well known for a high-end shopping center, which most of the luxury brands are located. Only the brands, but also entertainments like cinemas, Madame Tussauds, and Siam Ocean Worlds. 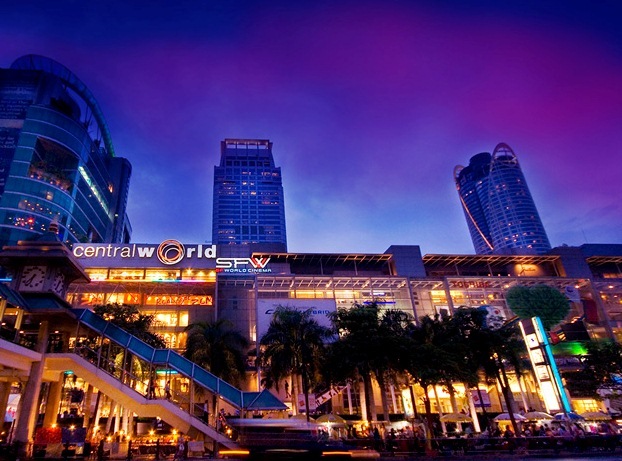 If you are looking for some other places that a bit cheaper, take a look at Siam Center. It was another trendy lifestyle department store in Bangkok where most of the brands, restaurants, and cafes are in. You can walk through the Paragon Park area to Siam Center’s side entrance. On the opposite side of Siam Paragon and Siam Center, it’s Siam Square where most of schools and open-air shops are located. Fashionistas shouldn’t miss! The area is divided into soi across market stalls and shops on 10,000 sqm areas. Starting shop daily from 9.00 – 20.00. Please imagine Bond Street of London or Fifth Avenue of New York, you will have a clear picture of Siam Square! Walking along Pratumwan intersection, you will see MBK. It is similar to Pantip Plaza, which is selling electronically products and full of small stalls that is sell mobile phones and gadgets. If you are looking for the cheapest prices with various types of shops and merchants, this is recommended. It does not provide only electronically products, but also clothing and shoes on the lower floors. Optionally, you can take BTS skytrain to National Stadium Station and exit to Tokyo Department Store. Yaowarat Road and Charoen Krung Road are the main road of Chinatown, presenting a biggest eateries and shopping choice in Bangkok. Buildings in that area are designated as historical landmarks in early years. Enjoy those eateries from 18.00 till late night every day! Recommended food such as ice cream, nuts, orange juice, shark fins, dried food and fish maw. It is easier to get there by taxi or bus number 25, 508, 4, 1, 7, 7ก, 53, 73, 73ก, 40, 85, 159, 507 and 529. 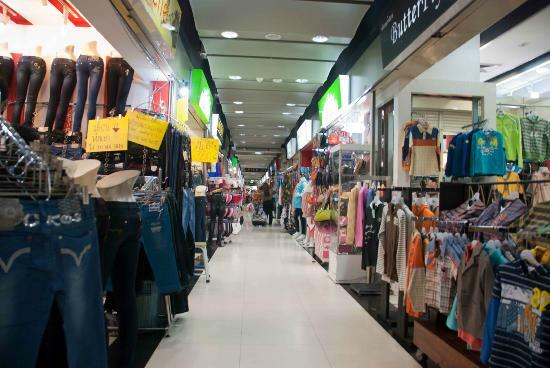 Don’t miss the fun of shopping in these top 5 shopping areas in Bangkok. Shop ‘til you drop Loopinians! This entry was posted in Best of things in the region..., SHOPPING, Thailand and tagged Asiatique, Bangkok, BTS Skytrain, Central World, CentralWorld, Chatuchak, Chinatown, Fashion Mall, jj market, MBK, Pantip Plaza, Platinum, Pratunam, Rod Fi Market, Shop, Shopping Areas, Siam Center, Siam Paragon, Siam Square, thailand, Top 5 Shopping Areas in Bangkok on April 30, 2013 by loopin808.